considerable experience in regulatory and civil matters. Ellis Sareen came to the bar in 2008 following 13 years working in information technology consultancy and in management positions in the theatre. His practice is split between criminal defence and prosecution on the one hand, and civil and regulatory work on the other. In crime, he defends allegations of all types of offending at all levels of seriousness. On the prosecution side, he specialises in organised theft and fraud, and in corporate and regulatory crime. He has extensive experience of conducting private prosecutions. Much, though not all, of his civil work is in cases that turn on allegations of dishonesty or malpractice. He acts for claimants, defendants, interested parties and complainants in all courts and tribunals. He has extensive experience in bringing challenges to state action or interference. Ellis regularly defends as junior alone in serious cases of alleged violence, trafficking of drugs, and theft, robbery or fraud. As led junior, he has appeared in cases of murder and attempted murder. As a consequence of his IT experience, he is often instructed in cases with a technical aspect. He also retains a practice defending professionals and others in the magistrates’ courts. For many people a conviction for even a minor offence can have serious repercussions in terms of employment, ability to travel, or reputation. A charge that is trivial per se may be very important to the person being prosecuted. Ellis has represented solicitors, accountants, police officers, company directors, doctors, nurses and teachers who have had the misfortune to find themselves charged with a petty offence that may have grave consequences for them if not successfully defended. Ellis’s prosecution practice is more specialised. He appears on the CPS Advocate Panel at Level 3; however, as a prosecutor, he is almost always instructed in cases of acquisitive offending (fraud, theft, and like offences), and in cases alleging breach of regulations. Many of the cases that he prosecutes involve substantial losses, and multiple (sometimes corporate) defendants. Most are linked to or followed by proceedings under the Proceeds of Crime Act 2002. Ellis accepts instructions to advise in criminal matters on a direct access basis. He does not usually accept direct-access instructions to appear in court in criminal matters. In his previous career, Ellis worked for banks and financial institutions in the City of London, and in Edinburgh, Brussels and Zurich. As a barrister, he has focused his criminal prosecution practice on cases of fraud and other financial impropriety. Much of his work has been in private prosecution, acting on behalf of corporations who have suffered loss through fraud or organised theft, sometimes running into the millions of pounds. He also defends in similar cases, where he bring his prosecutorial experience to bear in identifying weaknesses in the prosecution case. On the civil side, Ellis has been involved in a number of cases of the mis-selling of financial products, particularly interest rate hedging products. He has drafted submissions to the Financial Conduct Authority, and appeared as led junior in cases in the High Court and the Mercantile Court. Ellis accepts instructions to advise or draft documents in fraud or financial regulation matters on a direct access basis. The Proceeds of Crime Act 2002, and the legislation that proceeded it, furnish a number of different routes by which the state can take assets away from individuals and businesses. Ellis has experience in all of these routes, acting for the state, the person holding the asset, and for third parties claiming an interest of their own. His confiscation cases include one of the largest local authority confiscations every brought (in excess of £4million). In restraint, he regularly advises prosecuting bodies on applications, and appears in hearings for the prosecution and the defence. In cash forfeiture, he has acted for the person from who the cash has been taken, as well as for third parties (usually limited companies) claiming an interest in the cash, at first instance and on appeal. He has experience of receivership proceedings in both the Crown Court and the High Court. Ellis accepts instructions to advise or draft documents in asset recovery and related matters on a direct access basis. Ellis practices both in the area of business regulation that concerns the grant of licences or other permissions to conduct a business or profession, and in proceedings arising out of an alleged breach of regulations. The origin of Ellis’s licensing practice was in premises licensing, acting for licence holders and others before local authority licensing committees, and on appeal to the courts. However he has also appeared before planning applications committees in planning matters, and in taxi, firearms and SIA licensing matters. In cases of alleged regulatory breach, Ellis has prosecuted and defending numerous cases alleging breach of planning enforcement notices or other compulsive orders under the Town and Country Planning Act 1990. These often lead to confiscation proceedings, and Ellis has been involved in some of the largest such matters to date. Ellis accepts instructions to advise and appear in court on suitable business regulation matters on a direct access basis. Extradition was once a mainstay of Ellis’s practice, acting usually for the requested person. He appeared regularly at City of Westminster Magistrates’ Court before the specialist District Judges, and in appeals to the High Court. Though he is now less active in this field, he still accepts instructions in extradition cases, especially those with a link to other areas of his practice, in particular financial crime. Ellis does not accept direct-access instructions in extradition matters. Ellis has experience in advising on and appearing in judicial review proceedings in a wide variety of areas. He has experience in challenging police cautions, illegal and biased decisions of inferior courts and tribunal, local authority planning decisions, as well as the actions of central government. In addition he has an interest and experience in police complaints and civil actions against the police. Through action in one or both of these areas he has helped those who have been unlawfully arrested or detained, had their goods unlawfully seized or retained, or been physically injured as a result of police action. Those considering challenging the action of a public body by way of judicial review should be aware that there are very tight deadlines in this area. Much of Ellis’s work in public and administrative law has been on a direct-access basis. He accepts direct-access instructions to advise, to draft letters and court documents, and (if appropriate) to appear in court in this area. 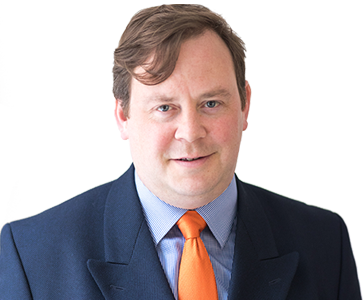 Ellis has general experience of tax litigation through his work in financial crime and fraud, in business regulation, and in confiscation and asset recovery. In many of these areas, proceedings will be brought on the basis of a failure to pay a tax or duty that was due. Defence, or prosecution, of such proceedings requires an understanding of the legislation that empowers the state to demand the payment of the relevant tax or duty. Through this work Ellis has gained a thorough understanding of VAT, import duty, as well as some aspects of income and corporation tax relief. Ellis has a niche practice in business rates cases. Local authorities bring these cases when they allege that a business has not paid the rates that they say are due. They can lead to civil proceedings in the magistrates’ court, and to proceedings before the Valuation Tribunal. Ellis acts for businesses and for local authorities in such cases.